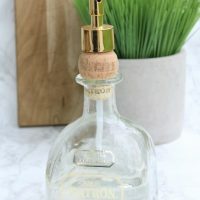 …a soap dispenser perfect for any wet bar, man cave, or tequila connoisseur’s home. Pretty fun, right? 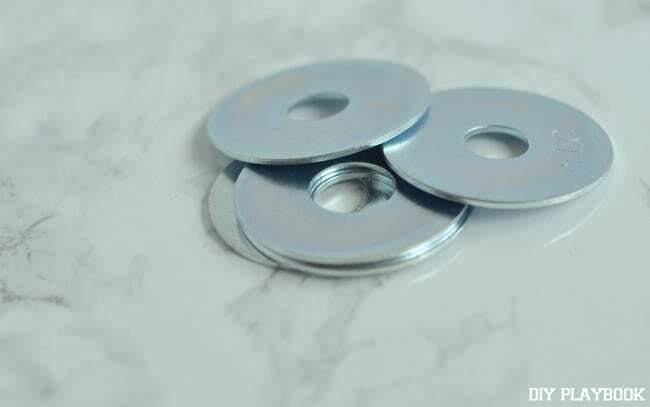 Metal Washers (I purchased a few sizes, but the 3/8″ x 1 1/2″ worked best for me!) <—$.25 a pop! 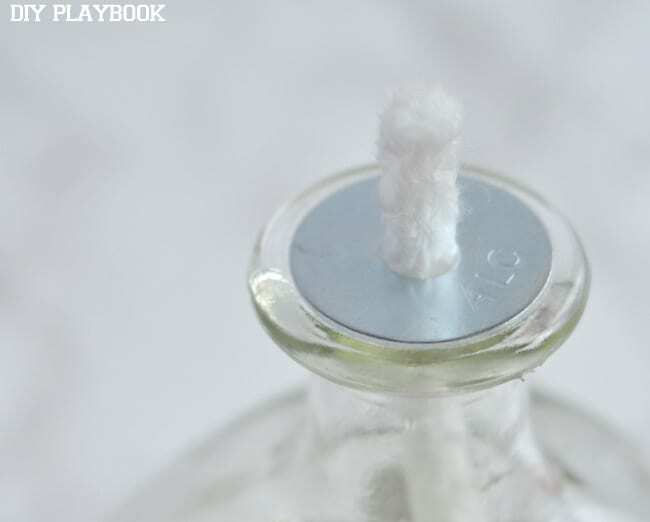 Step 1: You’ll need to find a washer that can securely sit on the top lip of the Patron bottle. 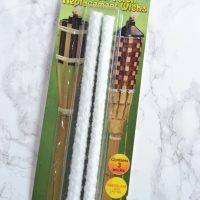 That means it needs to be wide enough to just rest on the opening of the bottle, and the middle hole needs to be wide enough for the tiki torch wick to fit through. 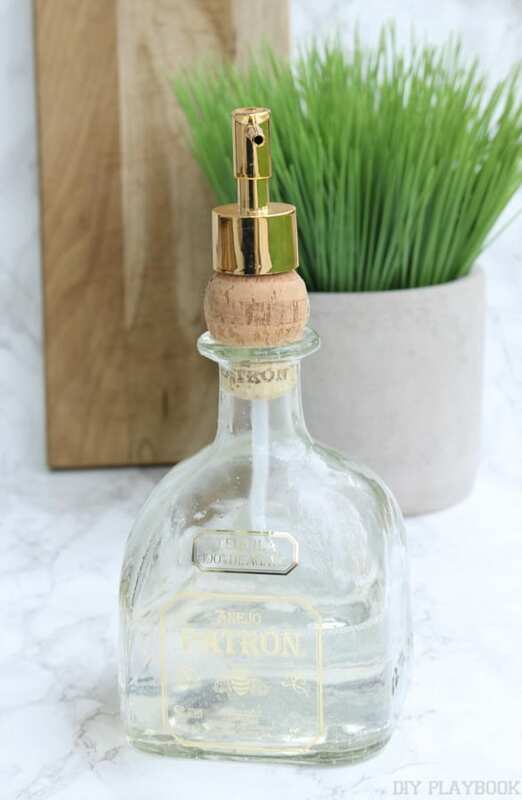 I brought my empty Patron bottle to the hardware store to find the perfect fit. Yes, I may have looked like a crazy lady with a liquor bottle in the nuts & bolts aisle, but at least I got the right size on my first trip to the store. Success! 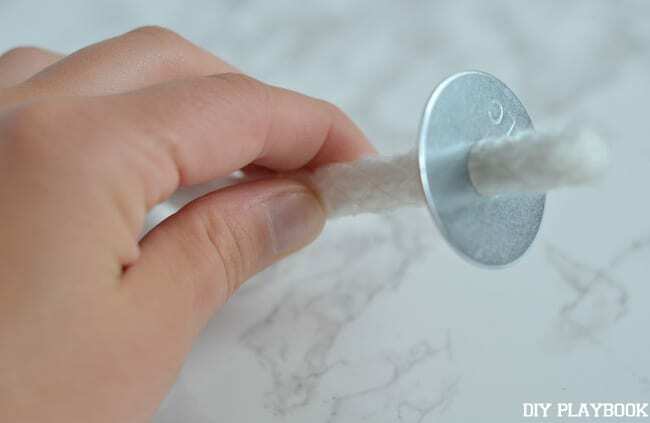 Step 2: Take the washer and stick the wick through the center hole. 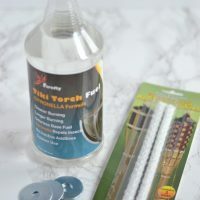 The washer will keep the wick in place, but it will also prevent the flame from traveling down. Instead only the top portion will remain lit. 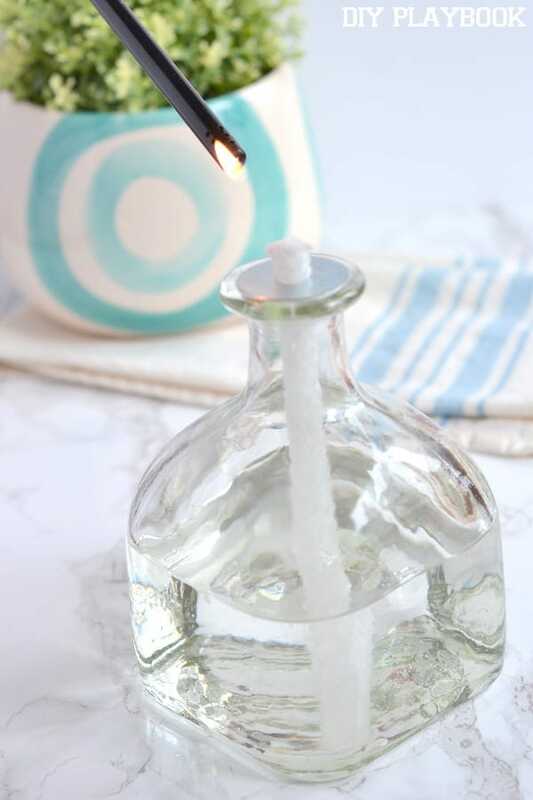 Step 3: Carefully fill the Patron bottle with citronella oil, and place the wick into the solution. 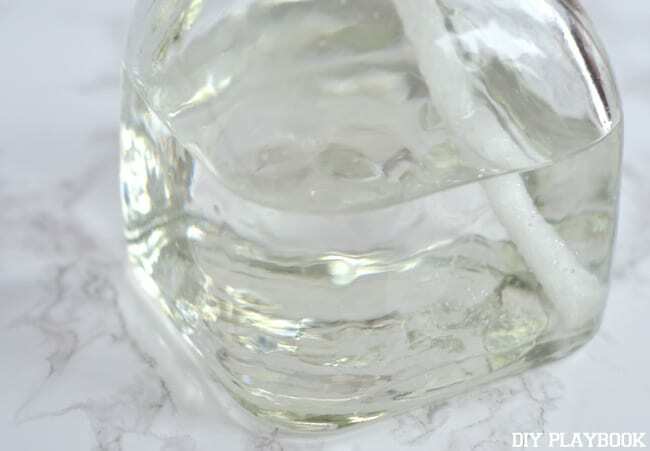 Step 4: Let your metal washer rest on the top of the lip of the bottle. 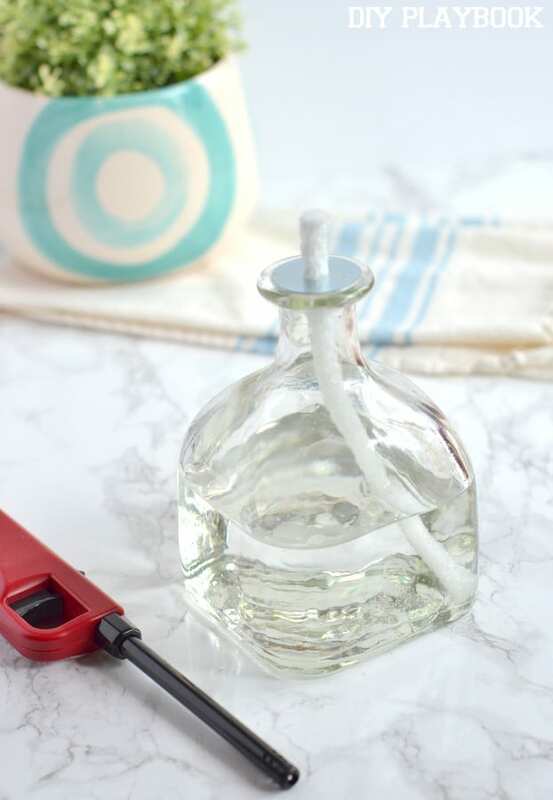 From what I read online about citronella candles, it’s best to allow about 1/2″-1″ of wick to poke out on the top. Otherwise you’re gonna have a big ol’ flame on your hands. 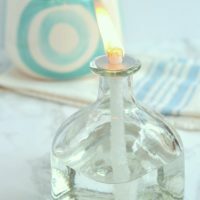 Let the wick soak up the oil before you move onto the exciting (yet scary!) lighting part. I’m not gonna lie, at first I was freaked out about lighting this bad boy. I mean what if I blew up our entire house? 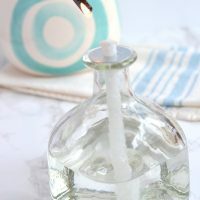 When I went to light it for the pictures, I had Finn nearby and ready to help if things when awry. Luckily, it all worked out well and my inner pyro was pumped with my fire creation! 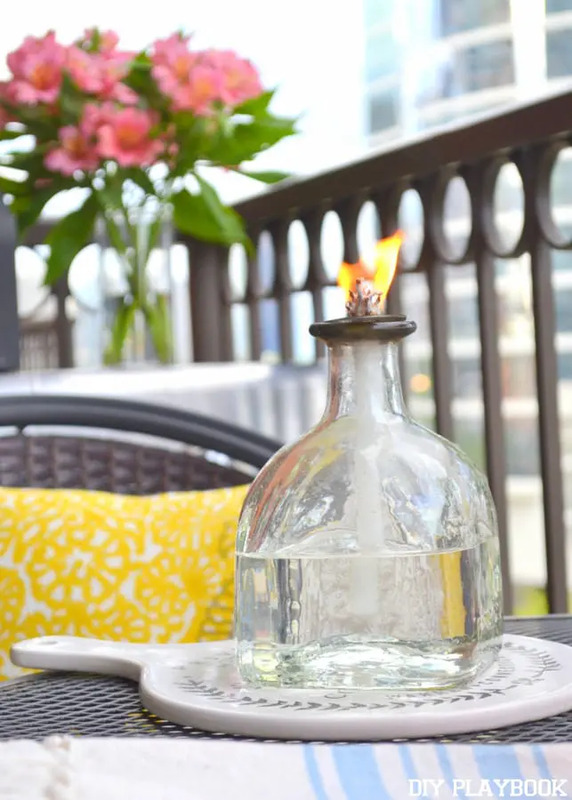 Our new citronella candle is proudly displayed on our little balcony and we light it whenever we sit out here at night. 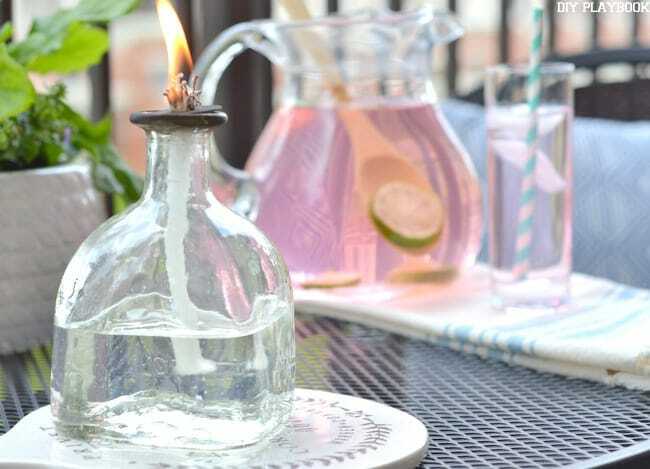 It keeps the bugs at bay and adds a nice romantic glow to our makeshift patio. 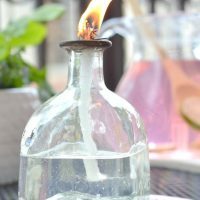 Are you looking to get in on the Patron action? Get to work on your own amazing project and submit it so you can be the big winner of the Art of Patron contest! Get the submission details here and DO IT! $10,000 for one craft… or $1,000 for the 9 finalists. 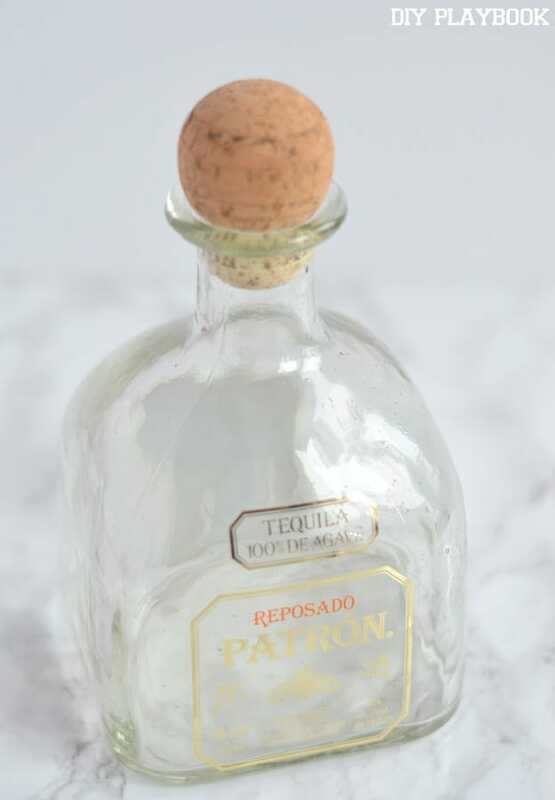 Tag #ArtofPatron so we can check out your project(s). And FYI, we are not submitting our projects into the mix since we are part of the Art of Patrón judging panel.